Overalls are a piece of clothing that transports me back to the days when fashion was strictly for fun. Because honestly overalls are the most fun to wear! It is like a silly, cool kid feeling ( if that makes sense). 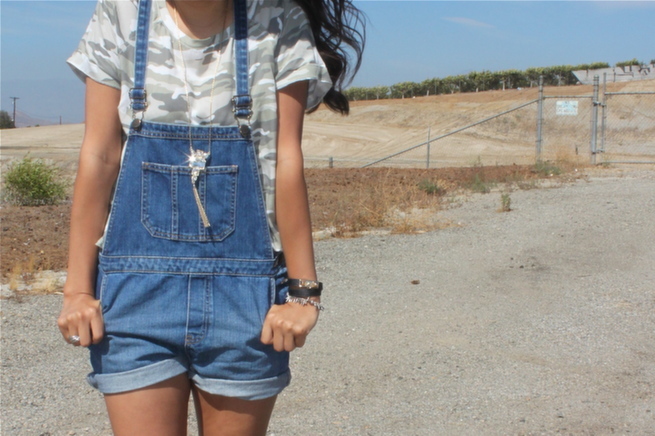 There is something about overalls that just makes me smile. They are also extremely comfortable!! With summer in full swing, they are a cute alternative to wearing traditional shorts. How do you feel about overalls? You are rocking this look! I love everything about it. Overalls are a total throwback for me. Those sandals are perfect! These look so cute on you! 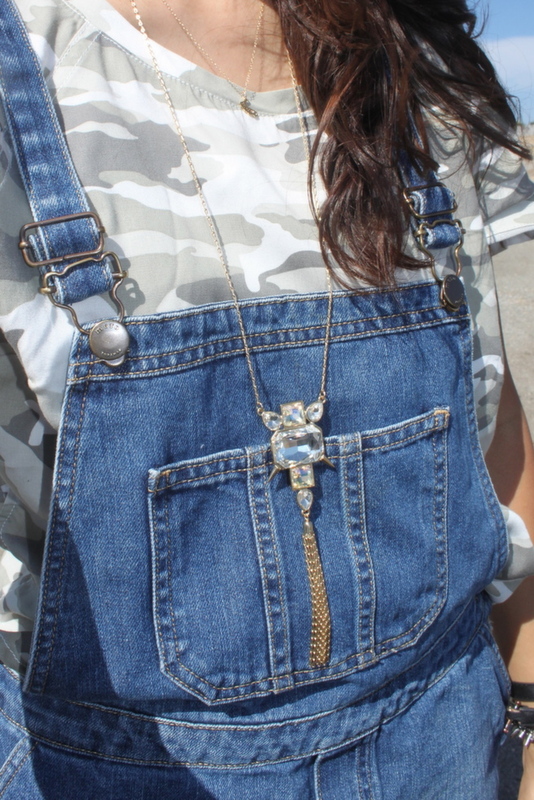 I loved overalls growing up, but I just don't know if I could rock 'em now! But you pull this look off fabulously! And I love it paired with the camo! I'm so back and forth on overalls but you look adorable!